This is for those of you who are looking for information on how to get to Vigan City – one of the most beautiful places in Ilocos. 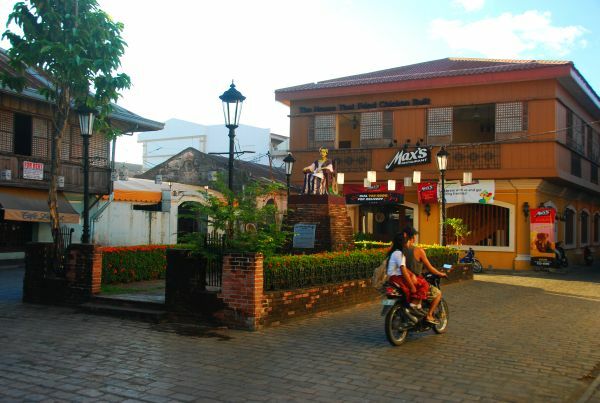 Vigan is a UNESCO world heritage site, and has also been voted as one of the New7Wonders cities of the world. Vigan is really rich in culture and full of attractions. I recommend spending at least 2 nights there, so you have enough time to try everything. You can also check these Vigan vacation packages for some nice deals and promos. there are a few different ways to get to Vigan from Manila, but the easiest is of course taking a flight to Laoag. Once there, you'll need to endure 2 more hours on a bus, so total travel time should be around 3 hours assuming there are no delays. If you want to do it backpacker style though, you can definitely catch a bus going from Manila directly to Vigan, or take a connecting line in Baguio. 1. The following companies operate the Manila-Vigan line: Partas, Dominion Lines, Maria De Leon, RCJ Bus Lines, Fariñas and Viron. 2. Buses leave from Cubao, Pasay and Manila City (Sampaloc). You should arrive there early to make sure there are tickets left. Both aircon and regular buses are available. 3. Prices range from 600 to 800 depending on bus choice and departure hour. 4. Partas have the best buses, and they also offer a night trip. The night trip takes only 8 hours instead of 10, and it's easier since you can quite comfortably sleep on the way there. 5. You can check Partas bus schedule and book tickets here. You can follow this post as it's just the reverse way and should still be relevant and up to date. Generally speaking, there are buses all day long – both aircon and regular. It'll take around 6 hours to get to Baguio from Manila, then another 3-5 hours going to Vigan from there. Exact travel time really depends on your departure time, since traffic can be quite rough in both Manila and Ilocos. Bus rates are between 350 and 400, depends on your exact choice. The Bus terminal in Vigan is near the Public Market – just a short tricycle ride from anywhere in the heritage city and Calle Crisologo.